The Canon EOS 1D X is the ultimate choice of all the professionals ranging from wedding photographers to extreme sports and wildlife photographers. It has no match in speed, construction and detailed precision. It has a full-frame 18.1 megapixel CMOS sensor powered by Dual DIGIC 5+ Image Processors. It has a powerful ISO range of 100–51200 (up to 204800 in H2 mode) which can perform brilliantly in low light conditions. It can burst shoot at the rate of 12 frames per second and can easily reach new levels of focus speed and accuracy, delivering advanced tracking even for the most challenging shooting situations. It is one of the finest full-frame DSLRs ever made and could be used with a variety of lenses. Following are the best ones. Canon EF 24-70mm f/2.8L II USM is a lens best suited for sharp portraits and landscapes over various focal lengths with its wide zoom range. Its swift and quiet autofocus and weather shielded design makes it almost completely flawless in getting desired results. The optics of the lens can be attributed as any best quality primes. The Canon EF 24-70mm f/2.8L II USM, which managed to bag a Gold award with an 87% overall score at DPReview, is best recommended for professional photographers with its exceptional optics. If looking for a lens suited for the best portraits, landscapes, as well as Macro photography, the Canon EF 35mm f/1.4L II USM is apparently the most appropriate for the need. The lens, specified to provide an evenly clear and high-resolution result, can be perfectly paired with Canon’s High-resolution SLRs. It has a swift 9-blade aperture of f/1.4 for ideal soft and dim light photography. Like others from the L series, this lens is also resistant to damp and dusty conditions. Photographers in search of a lens to capture clear, bright and well-lit images can suit themselves with the sleek and swift EF 35mm f/1.4L II USM. If not this, the original EF 35mm f/1.4Lcan be a similar fit for a reasonable price. This is one of the cheaper lenses which are easily portable, and a travel-friendly component with the Full frame DSLRs. It can also be well paired with APS-C cameras as a portrait lens. Best suited for dim light professional photography in its f/1.2 version, the Canon EF 50mm f/1.4 can be considered a valuable and brilliant lens on its own. With a Gold award and 87% overall score at DPReview, it holds more than 1500 customer reviews at Amazon US. This brilliant lens is one of the best performings in its field in accordance with its lab test results. Its quiet and swift focus and strong structure, in coordination with its affordable price, make it competitive to the camera manufacturers’ own lenses, excluding the weather shield. It gets an 89% overall score and a Gold award at DPReview. This lens shows a professional performance for Full frame DSLRs, excelling in different types of videography and photography, portraits, landscapes, stills and studio works. It had a smooth, silent and precise autofocus, provided by a Hyper Sonic Motor. Its Special Low Dispersion glass and Multilayer coating add to its perfect performance. This lens is a compactly structured one which nevertheless provides flawless image quality. It is a portable and travel-friendly fit to kit zooms for APS-C users and is a flawless General lens for full frame use. Its STM motor helps make its autofocus near to quiet, though not very quick. It gets an 84% overall score and a Gold award at DPReview. Best suited for dim light photography, this lens provides sharp and clear images, with the quickest autofocus in all of its kind. Its weather safe, sturdy and appropriate structure help reduce flares or reflections, making it unusable in any situation. This lens is a professional quality lens which is brilliant in use for professional or advanced amateur photographers. Comparative to all but the extensive zooms, this version of the Canon EF 50 mm performs exceptionally well in a compact package. It is well portable and high quality in the provision of images. Though the professionals would go for the f/1.2 version, the f/1.4 still is a brilliant alternative. It managed to get an 87% overall score and a Gold award at the DPReview. Brilliant for everyday photography, this is a lens also perfectly suited for dim light photography. It has a fixed focal length, and a large aperture which improves its image quality. Its compact design and affordable range make it one of the best of its kind. This lens is versatile for a range of applications such as portraiture. Practical and flawless in its work. Its large aperture provides effectiveness in dim light and is best suited for shallow depth of field focus control. With one of the highest scores of 92% in DPReview and a Gold Award, it is said to be one of the best lenses with amazingly swift and silent autofocus, and a flawless image stabilization system. Best for macro and detailed photography, this lens also proves to serve as a prime telephoto lens for applications like portraiture. It is versatile, with a brilliant handling and high definition images. One of the quickest lenses of its type, this lens is ideal for sports and blurs background portraits. Its flawless colors and clarity are due to the correction of its secondary spectrums by 2 UD glass elements. It has compatibility with Extender EF 1.4x II and 2x II. The ideal lens for wildlife and nature, and sports photography, this lens is said to be the lightest in its kind. It is around 28% lighter than the older versions. This lens performs swiftly for professionals, as it provides minimal glare and high definition images. This, like others in the range, is also ideal for sports and wildlife photography. This wide aperture lens provides the best image quality for architectural, wedding, and other professional photography application. It is highly durable with its weather shielding and provides clear images without camera shake concerns with its large aperture. It can capture images up to the 144-degree field of view. This lens is a versatile choice for portraits, landscapes and street photography, with ideal focal lengths for all situations. It is a wide angle lens best in its field of work. With minimal or no distortion, the lens has exceptional clarity. All this makes it a brilliant fix for professional photography. With a 104-degree wide-angle view, this lens provides clarity and no flair in its images. Being the widest angle lens in its line-up, it can be used to capture architecture, landscape, and portraits. With a swift and precise autofocus, sturdy design, high definition images, rugged, and a brilliant bokeh feature, this lens is best suited for photojournalism, event photography, landscapes, or any other wide angled photography. It is a lens best suited for sharp portraits and landscapes over various focal lengths with its wide zoom range. Its swift and quiet autofocus and weather shielded design makes it almost completely flawless in getting desired results. The optics of the lens can be attributed as any best quality primes. The lens, which managed to bag a Gold award with an 87% overall score at DPReview, is best recommended for professional photographers with its exceptional optics. This lens is the world’s first full-frame zoom lens, incorporating the latest Sigma technology. Its large aperture paired with a wide-angle focal length of 24-35mm allows it to take place of 3 other lenses combined, with one piece. Its qualities include Optimized Autofocus, Algorithm for swift, quiet and precise focusing, and manual focus override function. This lens features optical image stabilization, which makes it first quick standard zoom lens to do so. Its waterproof and sturdy structure, precise autofocus, a combination of versatile optics and image stabilization make it an affordable replacement for more expensive Canon, Nikon and Sony counterparts. This lens features one fluorite and one SUD element which provides brilliant contrast and high resolution with lesser chromatic aberration throughout its zoom range. Its sturdy construction, high resolution and super cutting edge performance, it’s a lens best suited for sports and wildlife photography. Another amazing addition to the Canon L series, this lens provides UHD results even in dim light conditions. 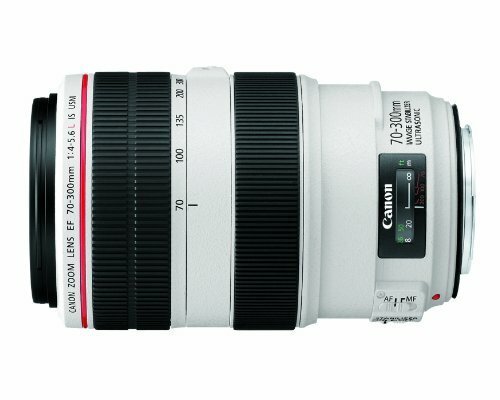 An even better option for dim light photography is this lens in its 70-200mm f/2.8 version. Its swift and flawless operation makes it best suited for nature, landscape, sports and travel photography. This lens is a small and lightweight lens which nevertheless provides clear and sharp images. Its structure makes it suitable for handheld photography. This one is around half the price and is way lighter than its predecessors. As named, this lens is best suited for sports and similar types of photography. This lens proves to be versatile over its zoom range, providing image clarity by 2 FLD and 3SLD elements. An optimized glass element design helps control Chromatic aberration and is highly durable with its weather shielded design. This is an HD telephoto zoom lens which is best for wildlife and sports photography. With its wide zoom range and a 1.4x extender, its zoom can be increased to 280-560mm. This shows convenience in applications where quick changing of the lens is not possible. It is also structured to be safe from dust and moisture. One of the finest lenses in the wide angle series, this lens is best suited for landscapes, interior and perspective photography. Its new optical design feature, the super UD, and UD lenses rectify any chromatic aberrations. It gives the users the widest view angle comparative to 5 yet achieved for full frame DSLRs. This lens bags the Best Professional DSLR lens at TIPA in 2015. This ultra wide angle lens is designed to provide the best photography experience to professional and high-end amateur photographers and is best for landscape, wildlife, wedding and architectural photography. Its best features include clarity, dim light photography, swift focus, and water and weather resistance. There are 3 added high precision aspherical elements and improved AF algorithm, which has made its autofocus quiet and quick, and its aperture ring is ideal for bokeh. This lens is ideal for wide angle photography, providing high definition results in a small and lightweight unit. Its stellar performing image stabilization system help improves the clarity and sharpness of the photograph. One of the well affordable choices in the best wide angle lenses is this lens. Accurate focus, clear and improved sharpness, and versatile focal length range help improve image quality. It is well suited for dim light photography. There are few defects in the design which include its aperture of up to f/4, and no image stabilization. With the most brilliant image stabilization, amazing optics and a swift and silent autofocus, this lens proved to be the best one available. It gets an exceptional score of 92% with a gold award at DPReview. It’s a prime telephoto lens for applications such as portraiture. It is an amazing lens for capturing minor details and small objects and provides a combination of high definition images, versatile qualities, and brilliant handling.